A little over a month. Less than 5 weeks. 32 days. However you want to phrase it, the fact remains that it will be Christmas before we know it! This is an especially busy time here at northpole.com, just as I’m sure it’s a busy time for you. I do hope that you and your family will come visit us here regularly during the holiday season. Besides all of the great stuff elsewhere on the site [such as the fabulous crafts, yummy recipes, and letters to Santa], we will be bringing you fun, festive content here on the Elf Blog every single day between now and Christmas. If you love holiday events, are wondering where Raymond the reindeer travelled to this year, or simply need a daily dose of Christmas joy, the Elf Blog has you covered. We look forward to spending the holiday season with you and yours! We hope that each and every one of you had a fabulous Christmas. All of us up here at the North Pole had a wonderful Christmas indeed. Also, thanks go out to YOU for spending part of your Christmas with us! We appreciate every single one of our visitors, and we are so happy that you came to visit Santa’s Secret Village. We do hope that you’ll spend part of next Christmas with us as well! So, what was your favourite Christmas memory this year? Did you receive a cherished gift, try a new delicious recipe, or go ice skating with a special someone? Let us know in the comments! Enjoy the rest of Christmas Day, and from all of us at northpole.com, we wish you a very happy and healthy 2015! Well, folks, can you believe that there are only 37 days until Christmas? Despite how busy we elves are during the holiday season, we thought it was about time to start blogging more in order to inject some merriness into your days. We do hope you’ll stop by regularly between now and Christmas, as we’ll be highlighting charities, posting some of our holiday favourites from Etsy, and sharing other festive fun. Plus, you’ll get to see where in the world Raymond the reindeer visited this year! If you’ve read the Elf Blog in years past, you might be wondering where the crafts went. Have no fear—they’re still here! 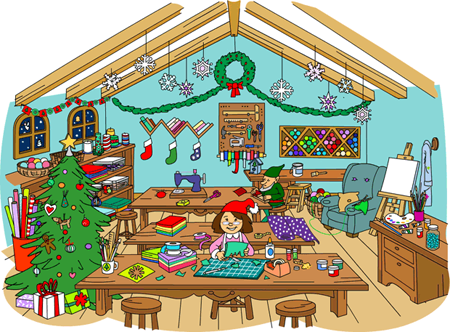 The elves have created so many awesome craft projects that we decided the crafts deserved their own home at the North Pole. So, may I present to you… the Craft Cottage! 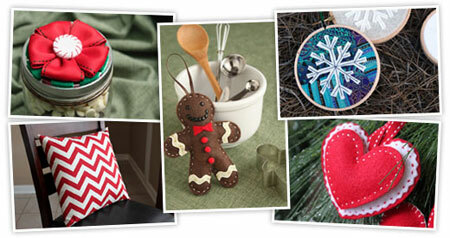 The Craft Cottage houses all kinds of crafty goodness—from ornaments to home decor to wreaths and more. So bust out the glitter and glue gun, and head on over to the Craft Cottage. Our regular readers might also be asking themselves what happened to the great gift ideas we previously highlighted on the Elf Blog. Again, we decided that all this fabulous content warranted its own space, so we packed up all the gift ideas and moved them to the Gift Shop! 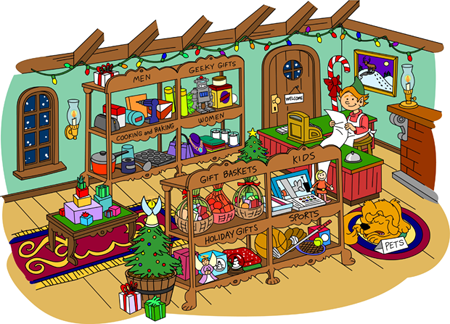 In the Gift Shop, you will find elf-curated presents for every type of person on your Christmas list. Whether you’re shopping for a chef, sports nut, or creative kid, we’ve got you covered. Thanks for stopping by. We certainly look forward to spending the holiday season with you. Let us know in the comments what you’re most excited about this Christmas! Less than 2 months. 7 weeks. 51 days. However you want to phrase it, the fact remains that Christmas will be here before we know it. This is an especially busy time here at northpole.com, just as I’m sure it’s a busy time for you. I do hope you and your family will come visit us here regularly during the holiday season. Besides all of the great stuff elsewhere on the site, such as the personalized stories and yummy recipes, we will be bringing you brand new, fun, festive content here on the Elf Blog every single day between now and Christmas. If you love holiday crafts, are searching for gift ideas, or simply need a daily dose of Christmas joy, the Elf Blog has you covered. We look forward to spending the holiday season with you and yours! Gooooood morning! Today is June 25th, and Christmas is 6 months away. We can’t believe how fast the year is flying by, but we are eagerly anticipating Christmas. So eager, in fact, that we thought we’d throw a party to celebrate! July is only a few days away. What better way to have fun than with a Christmas in July party? 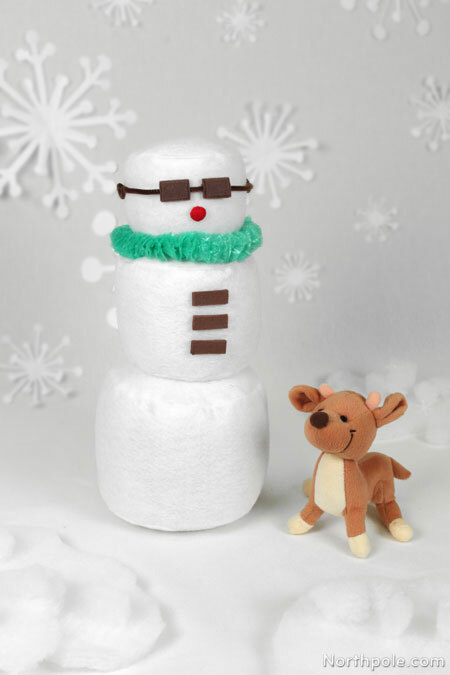 Check back as the day goes on for craft ideas for your Christmas in July party.